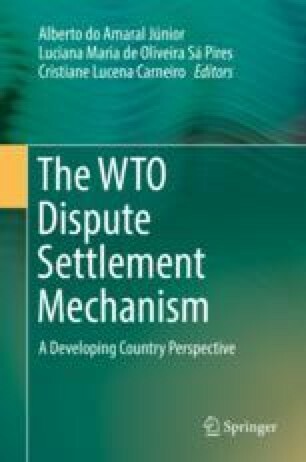 This chapter analyzes the contribution of alternative dispute resolution for trade disputes wherein trade barriers were imposed for environmental and public health reasons (T&E disputes). T&E disputes have been channeled through the WTO dispute settlement mechanisms, which contain strong enforcement mechanisms that are expected to deter noncompliance. Nonetheless, empirical evidence suggests that these disputes have a low probability of reaching a settlement and often generate final rulings that are not complied with (Davey, Evaluating WTO dispute settlement: what results have been achieved through consultations and implementation of panel reports?, 2005). The study concentrates on one T&E dispute decided by the WTO, identifies several aspects that distinguish T&E disputes, and argues that an alternative dispute resolution procedure proposed by Brams and Taylor (Fair division: from cake-cutting to dispute resolution, 1996; The win–win solution: guaranteeing fair shares to everybody, 1999), called Adjusted Winner (AW), may increase the chances of compliance and present the parties with a superior outcome. An application of AW based on data from interviews with government officials and policy experts generates a hypothetical outcome, which is subsequently compared to the actual adjudication outcome. The analysis shows that recourse to AW may provide more opportunities for compliance by presenting the parties with an outcome that is more fair in terms of three criteria: efficiency, envy-freeness, and equitability. The author wishes to thank Steven Brams and Jeffrey Dunoff for very useful comments, as well as feedback when an earlier version of this chapter was presented at Prof. Alberto do Amaral Júnior’s Research Seminar, University of São Paulo School of Law.